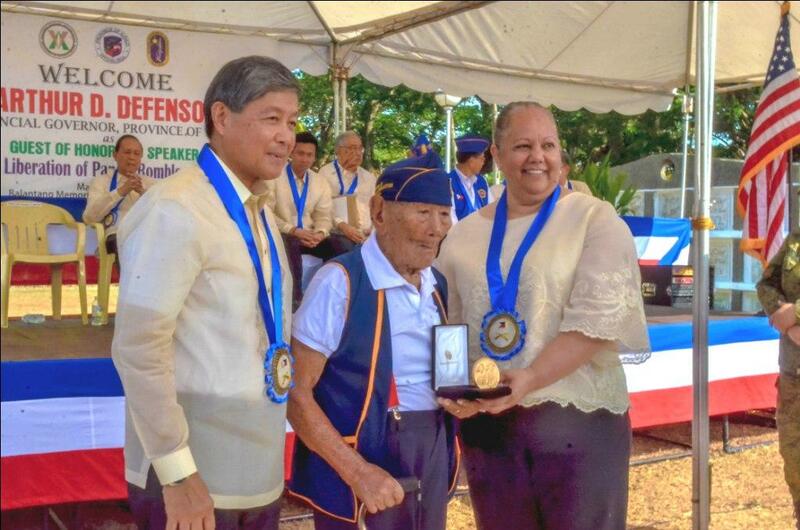 ILOILO City – Twenty-seven Ilonggo World War 2 veterans were each honored with a US Congressional Gold Medal yesterday during rites commemorating the 74th Liberation of Panay at the Balantang Memorial Cemetery National Shrine in Barangay Quintin Salas, Jaro district. “The medal is the United States Congress’ highest expression of national appreciation to people with distinguished achievements and contributions to the US,” said Defense undersecretary Ernesto Carolina, also the administrator of the Philippine Veterans Affairs Office (PVAO). 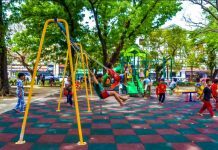 Yesterday, Ilonggos marked the 74th Liberation of Panay – a public holiday in the islands of Panay, Guimaras and Romblon. March 18, 1945 was the day Panay Guerilla Forces launched the final assault on the Japanese Imperial Armed Forces during World War 2. Of the 27 honored war veterans, 20 were still alive; seven were awarded posthumously by Director Tracey Betts of the US Department of Veterans Affairs and Carolina. One of the veterans, Private Cirilo Frigillano got emotional. He recalled the hardships he and other young soldiers went through during World War 2. Frigillano took part in guerilla offensiveness in the island of Panay after the surrender of the Philippines to the Japanese forces in 1942. As the war was drawing to a close, he and other members of the 6th Military District assisted the US Army in retaking the island. * Private Ricarido Jaculina Sr. 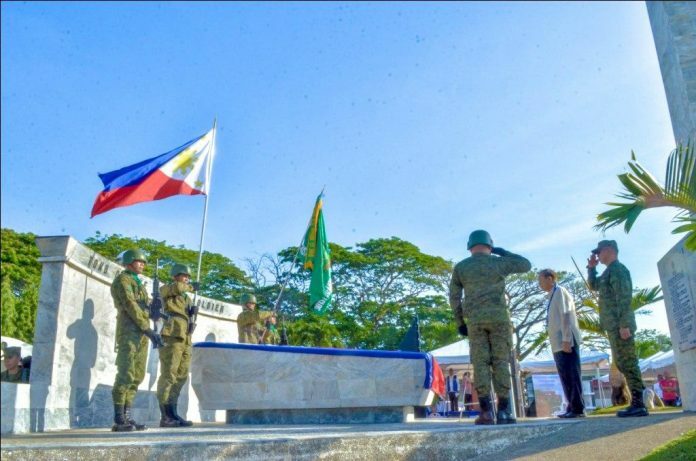 The seven posthumous awardees were Private Felipe A. Alagos, Private Enrique S. Mamon, First Sergeant Efrain B. Treñas, Captain Jose C. Miraflores, Captain Santiago Defensor, Corporal Adriano H. Lipardo, and Brigadier General Macario P. Peralta Jr.
“Akala nila nakalimutan na sila. 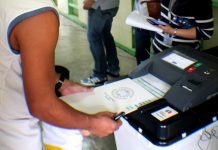 So, ngayon nakita na nila hindi sila nakalimutan,” said Carolina. Yesterday’s rites were the first US Congressional Gold Medal awarding ceremony in the Visayas, he added. She cited the Free Panay Guerilla Forces, 6th Military District, composed of the officers and men of the 61st Division Philippine Army. They preferred continuing the fight than surrendering after the fall of Bataan. Together with other units of the United States Army Forces in the Far East (USAFFE) and civilian volunteers from all walks of life such as lawyers, doctors, engineers, nurses, teachers, fishermen, farmers and students, “Panay guerrillas harassed, sabotaged and decimated the Japanese Imperial Armed Forces in the islands of Panay and Romblon throughout World War II in the name of country, freedom and democracy,” part of Proclamation No, 430 read. The US Congressional Gold Medal is one of two highest civilian awards in the United States. The other is the Presidential Medal of Freedom. A Congressional Gold Medal is designed by the United States Mint to specifically commemorate the person and achievement for which the medal is awarded. Medals are therefore different in appearance, and there is no standard design.